It’s no secret that Project-based learning is proven to be the single most-effective way to learn any skill, but this is especially true for Programming! 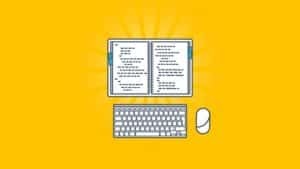 Go from a complete beginner to building 11 Projects with the Python Bible, Udemy’s premier Project-based Python Programming Course! This comprehensive, in-depth and meticulously prepared course is going to teach you everything you need to know to program in Python! A – Z, it’s all here! Hi, I’m Ziyad. I am a prize winning University lecturer of foundation level computer science, and delivering project based learning is what I do best! Variables – Learn to conveniently store data in your python programs! Numbers – Learn how numbers work behind the scenes in your python programs! Strings – Master Python Text and automate messages using Strings! Logic and Datastructures – Teach your program to think and decide! Loops – Save time and effort, by making computers do the hard work for you! Functions – Automate Tasks by Building your very own Python Functions that you can use over and over! OOP – Add Python to Your Resumé By Mastering Object Oriented Programming, the industry programming standard! I already requested for course update guyzz. Plzzz update this course, I need this course.